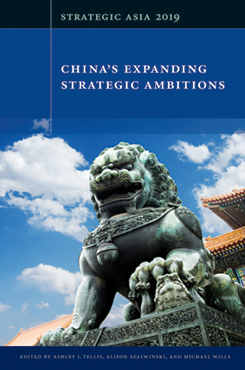 This chapter examines China’s efforts to expand its influence in Northeast Asia and its strategies toward South Korea, North Korea, Japan, and the East China Sea. China seeks to build a Northeast Asian regional order centered on economic development in which it enjoys superiority across all dimensions and can freely protect its interests while retaining the respect and support of its neighbors. It is working to achieve these objectives through: (1) a public diplomacy strategy that aims to win support for its great-power ambitions, (2) an economic strategy that draws regional states into Chinese-led initiatives, and (3) a security strategy based on expanding military capabilities, strengthening territorial claims in the East China Sea, and weakening the U.S.-led alliance system. On the Korean Peninsula, Beijing seeks to maintain stability, draw Seoul away from the U.S., and keep Pyongyang closely aligned with it. China desires stable economic relations with Japan but also views Tokyo as its primary regional competitor that must be prevented from assuming a greater security role in the region. To retain influence in Northeast Asia and check destabilizing Chinese behavior, the U.S. must continue to strengthen its alliances with South Korea and Japan and advance a comprehensive and positive strategy for the region that focuses not just on balancing against China. To compete with China and signal commitment to the region, the U.S. must demonstrate both military and economic engagement, and continue to reaffirm the values of democratic governance, political freedom, and rule of law that have long underpinned U.S. soft power. The U.S. should leverage China’s desire for stability by working with U.S. allies to discourage Beijing from pursuing disruptive policies and to encourage its cooperation on regional and global challenges. Patricia M. Kim is a Senior Policy Analyst at the United States Institute of Peace.